Trans-Siberian Orchestra (TSO) today announced its highly-anticipated 2017 Winter Tour. Over the past 20-plus years, Trans-Siberian Orchestra has become a critically-acclaimed, multi-platinum, musical powerhouse, and its annual winter tours a beloved, multi-generational holiday tradition. 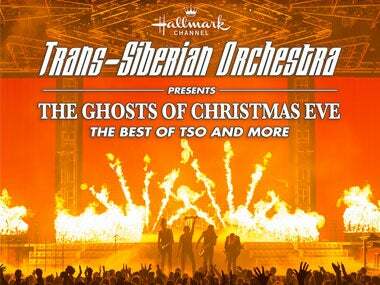 2017's tour, a completely updated presentation of TSO's unforgettable "The Ghosts of Christmas Eve," is set to begin on November 16th and will visit more than 60 cities, for 100-plus performances, before concluding on December 30th. 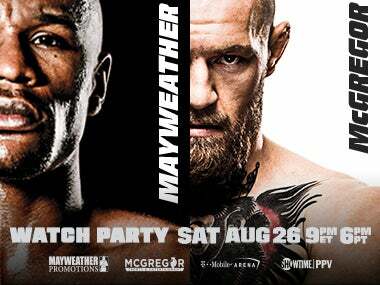 On Saturday, August 26, Golden 1 Center will host an exclusive closed-circuit viewing party for the highly anticipated clash between Floyd Mayweather and Conor McGregor. 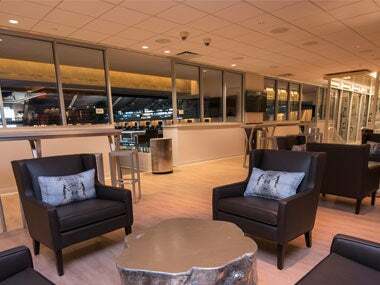 Fans will be able to enjoy the premium clubs located inside the arena. Golden 1 Center food and beverage will be available for purchase during the fights. 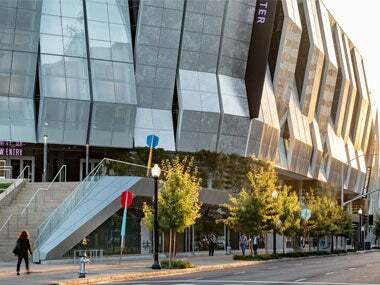 The Sacramento Kings today issued a statement in response to Golden 1 Center being named one of 2017’s “Best Projects” by Engineering News-Record California Magazine (ENR California). 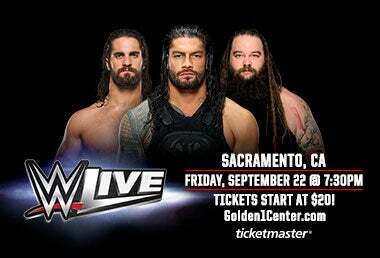 WWE LIVE IS COMING TO THE GOLDEN ONE CENTER FOR THE 1st TIME EVER!!! Today, the Sacramento Kings issued the following statement after Beyond Sport, a global organization that promotes, supports and celebrates the use of sport to address social issues in communities around the world, recognized the team's industry-leading efforts to combat climate change and promote sustainability. The Kings received the prestigious the "Sport for Climate Action" Award for their efforts at Golden 1 Center and in the Sacramento community. Three decades ago today, Guns N' Roses transformed and transfixed the world of rock and roll forever with their seminal debut album Appetite for Destruction. 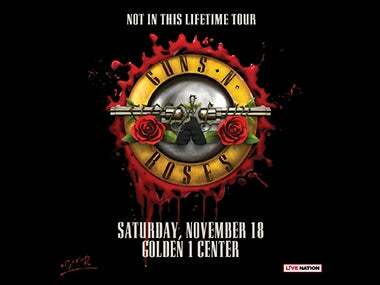 To celebrate the multi-platinum record that welcomed fans to the jungle and topped the Billboard 200, the unprecedented legends of rock are announcing a selection of new stops on their momentous Not In This Lifetime Tour produced by Live Nation. 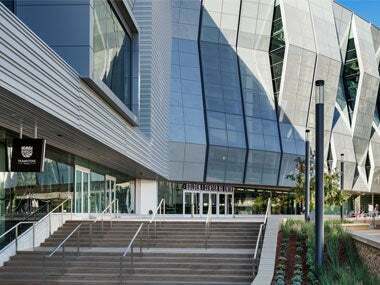 Beginning Friday, June 30, Golden 1 Center will offer a behind-the-scenes look at the venue with public and private walking tours. 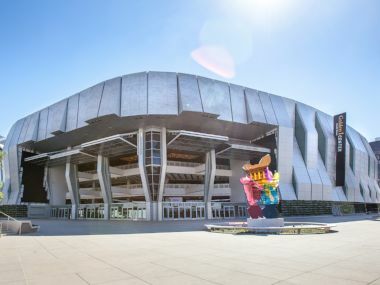 Guests will explore the technology and sustainability innovations, select areas dedicated to the Sacramento Kings, and unique elements of the arena that reflect the region on a Guided VIP tour. 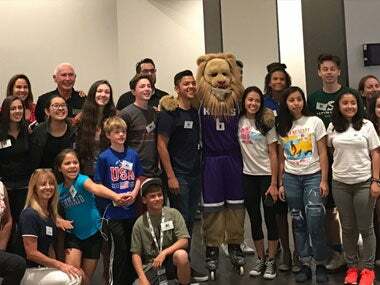 At the Green Sports Alliance Summit at Golden 1 Center, the Sacramento Kings hosted an autonomous vehicle showcase featuring next-generation technology. 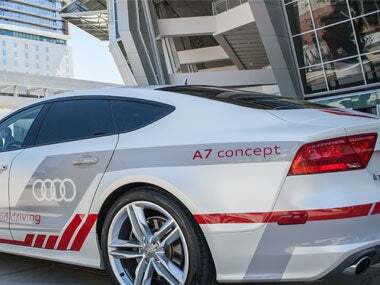 Industry leaders Audi, EasyMile, Renovo and Uber joined the showcase to demonstrate how autonomous vehicle innovations can transform the fan experience, remove additional transportation barriers, and provide a safer, smarter and environmentally-conscious option for fans and partners. 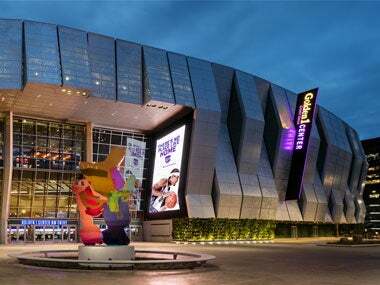 Sacramento, Calif. – On Thursday night in Dublin, Ireland, TheStadiumBusiness Awards selected Sacramento Kings Owner and Chairman Vivek Ranadivé as Executive of the Year saluting the impact the franchise has had on the region. Golden 1 Center was also honored with the Venue Technology award for the next-generation infrastructure developed to enhance the fan experience. 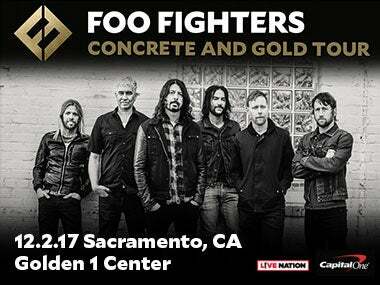 Grammy-winning rock band, The Foo Fighters, will celebrate the release of their new album, ‘Concrete and Gold’ (due in September), with a North American tour—stopping in Sacramento on December 2, 2017. Tickets will go on-sale to the public on June 29 at 10 am.